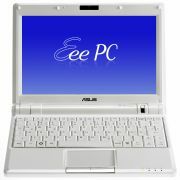 DigiTimes has a couple of articles up about the Asus Eee PC 900 battery life and a bit more information about when the Intel Atom-based devices will be available. First up – Hong Kong customers of the Eee PC 900s are finding that they are getting 4-cell 4400mAh batteries instead of the 4-cell 5800mAh batteries available with some sample Eee PC 900s issued to reviewers. Asustek said it would be introducing the 5800mAh battery in later devices and that it was a mistake that review samples had the higher capacity batteries, however it is investigating replacing the 4400mAh batteries. Asustek is believed to have ordered 2.5-3 million Atom processors from Intel, while Acer has ordered around one million and may place another one million unit order depending on market demand for corresponding low-cost PCs in the later half of the year, according to industry sources. Meanwhile, Dell has been more conservative in only ordering around 300,000-500,000 Atom CPUs, while previous reports indicate Hewlett-Packard (HP) has placed an initial order for 100,000 VIA Technologies C7-M ULV CPUs to be used in its Mini-Note products, which will increase to 500,000 units by year’s end. Other players including Micro-Star International (MSI) and Gigabyte Technology are even more conservative, ordering far lower volumes than their competitors, according market watchers. This entry was posted in Acer, ASUS, Gigabyte, HP/Compaq, Intel Atom, MSI, Netbook, News. Bookmark the permalink.